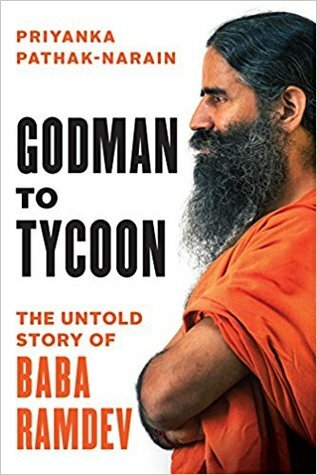 ‘Godman to Tycoon: The Untold Story of Baba Ramdev’ is Book by Author Priyanka Pathak-Narain on Baba Ramdev’s journey from yoga guru to founding a successful FMCG firm in Patanjali Ayurved. Pathak-Narain won the CNN Young Journalist Award for her coverage of the Sethusamudram channel project in 2007 and covered the 'business of religion' beat for Mint a solid six years (2007-2013). A Delhi court’s interim injunction on sale of ‘Godman to Tycoon’ was passed without representation from the publishers and author. Some of most disturbing details of the book are around the death of Ramdev’s mentor Rajeev Dixit in 2010. Even though Ramdev claims that Dixit died of cardiac arrest, Dixit's fellow swadeshi activists demanded a postmortem as they felt there had been foul play.